Now and then I use to refer to some article in Oil & Gas Journal. This time I chose an article about a successful appraisal well drilled by the Swedish oil company Lundin Petroleum AB in the Johan Sverdrup field in the North Sea. 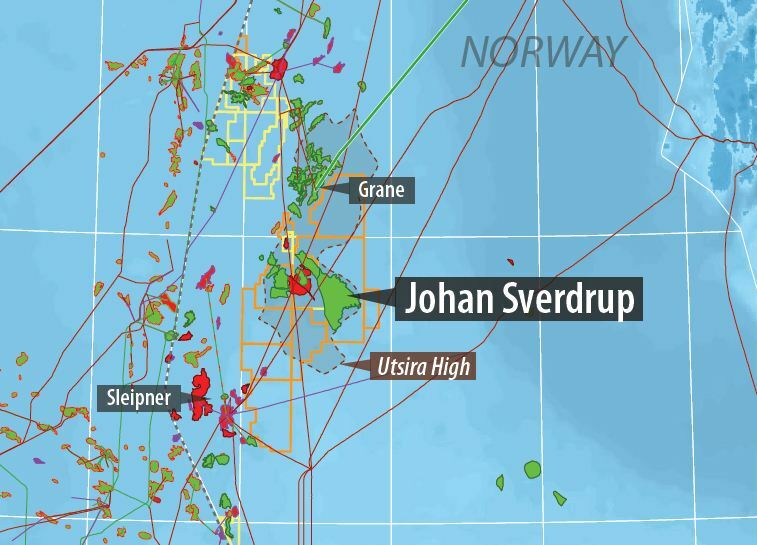 “A unit of Lundin Petroleum AB, Stockholm, reported positive results from an appraisal well on the east side of Johan Sverdrup field offshore Norway in which it ran an enhanced oil recovery test. Lundin Norway AS conducted a comprehensive coring and logging program including a log-inject log wireline run for EOR screening at the 16/3-6 well. It also installed a pressure gauge to monitor reservoir pressure for 2-5 years. The 16/3-6 well, in eastern PL501, found an 11.5-m oil column in good quality sandstone of Upper Jurassic age. The well is successfully completed. The well found a 24-m gross reservoir section of which 11.5 m is above the oil-water contact at 1,926 m below mean sea level. The reservoir sequence, resting directly on granitic basement, is entirely of late Jurassic age and consists of reservoir sandstone of excellent quality with a high net-to-gross ratio, Lundin Norway said. Total depth is 2,025 m below mean sea level. The lower OWC encountered and the thicker Draupne sandstone reservoir are both positive results, the company added. The Bredford Dolphin semisubmersible that drilled the well will move to drill the Lundin Norway-operated 16/4-7 well in PL544. Lundin Norway is operator of PL501 with 40% interest, Statoil Petroleum AS has 40% and Maersk Oil Norway AS 20%. ← Egypt condemned to continued chaos without its earnings from oil! / Egypten dömt till fortsatt kaos utan sina oljeintäkter!